The "Chinese Puzzle" is the name given to a complex intricate pieced design of small squares and triangles forming a grid like composition. This one is very Art Deco in feeling thanks to the use of solid black cotton that accents the brightly colored prints of the era. 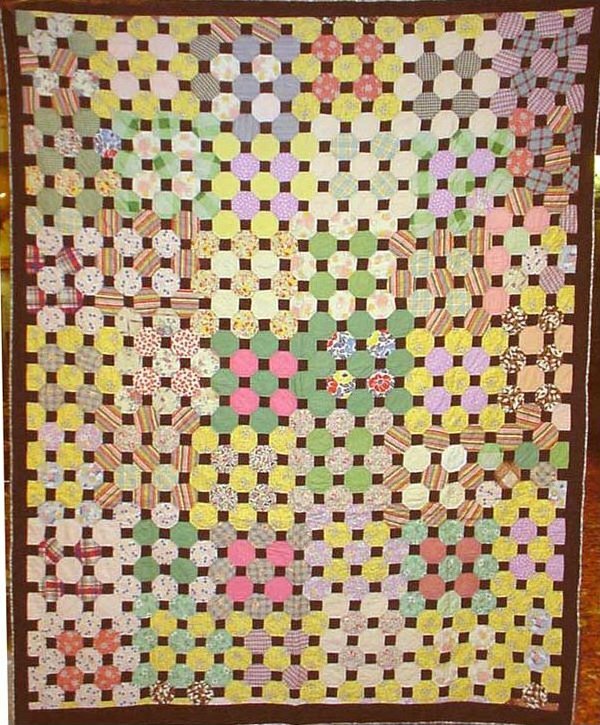 Outside of early 20th century Amish quilts from Holmes County Ohio, one doesn't often see solid black used in a quilt, so this is uncommon in both pattern and composition.